Julian Casablancas was hungover for "five years" after quitting drinking. 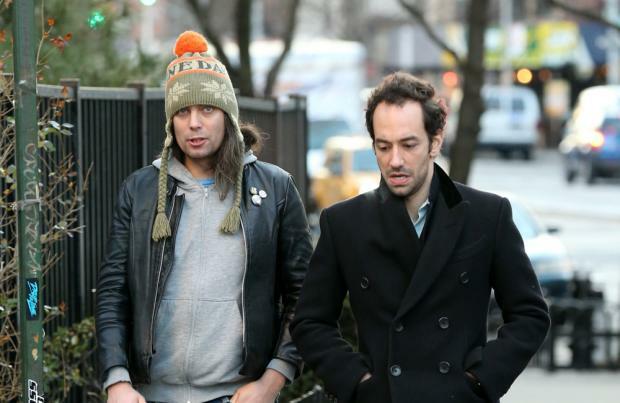 The 36-year-old rocker admits he drank very heavily when his band The Strokes first found success and it took some time for him to feel fully healthy again after giving up alcohol for good. He said: "I was hungover for, like, five years. Like, literally four years after I stopped drinking, I still didn't feel 100 percent. I still had that feeling of being a little hungover, and you just don't want to go downstairs to the deli, and you just want to stay inside. I felt kind of really roughed up by it." At the height of his alcohol excesses, the 'Last Nite' rocker would drink vodka in the morning and admits it took its toll on his personality and made him "obnoxious". He told Rolling Stone magazine: "I was probably charming 10 percent of the time, when I had a perfect buzz. "You think, 'I'm brave and I'm crazy and I can drink.' But it's really like, 'I can't socially talk to people without having a stupid fake confidence that's obnoxious.' You think it's like truth serum, but it's more like a*shole serum."